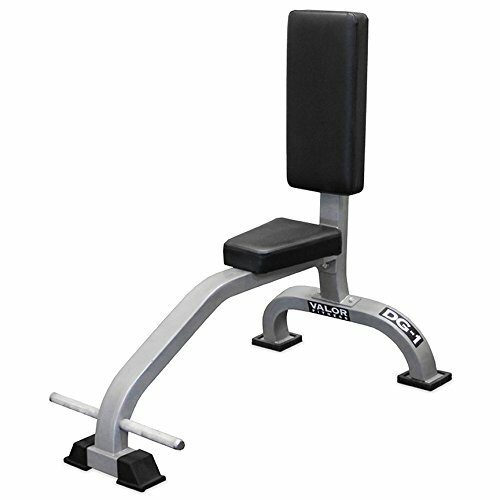 The Valor Fitness DG-1 Stationary Bench is strong and ready for a heavy workout. Using 11 gauge steel along with a dual density seat padding, this Stationary Bench has a 3 degree tilt allowing for a more comfortable angle for shoulder workouts. Upfront foot bars allow the user to position their feet for a slight push to keep the body firmly seated on the bench. Simple Unit, no moving parts except for the user. 3-degree tilt on back support pad, seat pad contours to a slight "v", allowing the user more space for leg comfort. Foot post option for added support while lifting a heavier load.